December 10 is the day to bring out your inner…whale? Festival for the Souls of Dead Whales is the holiday of celebrating all of the dead whales. According to National Geographic, this holiday supposedly is a holiday celebrated by the Inuit people of Alaska. However, when the director of the Inuit Heritage Center was asked about this holiday, he had never heard of it. Whaling is crucial to survival in the Artic due to the lack of fruits and vegetables, so the Inuit people have ceremonies regarding whaling- but not the souls of the whales. I’m going to take a good guess and say whoever created this holiday felt badly for all the whales that lose their lives due to whaling. However, there are plenty of reasons to celebrate the Festival for the Souls of Dead Whales. 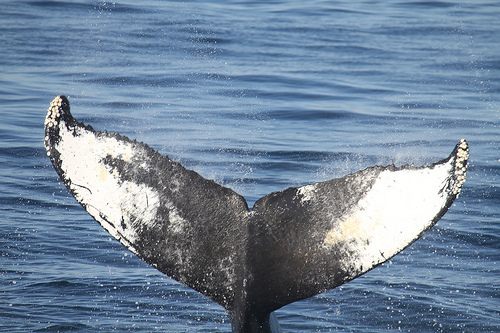 Whales live to be over 200 years old, have excellent hearing and provide minerals and vitamins to the Inuit people. In order to celebrate on December 10, have a ceremony for the dead whales, watch a documentary about whales, go to Sea World and watch Shamu or speak whale like Dory in Finding Nemo.